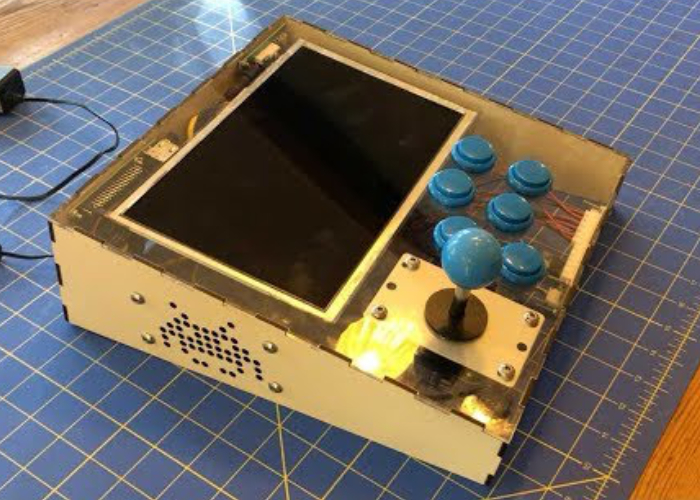 If you are interested in building your very own Raspberry Pi desktop arcade machine to enjoy a few retro games, you may be interested in a new project which uses a 10 inch HDMI monitor and Raspberry Pi Model 3 B+ mini PC. “After a bit of online searching, we found out it’s easy to use a Raspberry Pi, which is a $35 single board computer the size of a credit card, along with a free Linux based operating system called RetroPie that has emulators for every arcade and console imaginable. We could use a Raspberry Pi and RetroPie to play every arcade game we want. And with our Glowforge laser cutter, we could easily make an arcade cabinet for ourselves as well quickly make them for friends and family. Find out more about the project over on the Boing Boing website via the link below. If you enjoy building Pi projects you might be interested in our comprehensive list of Raspberry Pi displays, HATS and small screens.